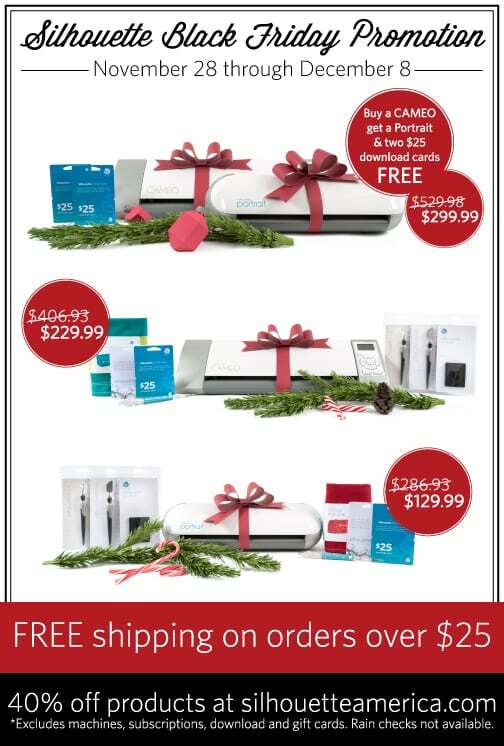 I am thrilled to announce the Silhouette Black Friday Promotions. Friends, this is the time to buy a Silhouette machine! (4) 40% off consumable products at silhouetteamerica.com. This excludes machines, subscriptions, downloads, and gift cards. Cannot be combined with any other offers. Rain checks not available. (5) FREE SHIPPING on orders over $25. Scroll to the bottom of this post for a detailed breakdown of what each bundle includes! My favorite part of using a Silhouette machine is how easy and quick it is to use. I used the Cameo to cut this simple mustache shape out of white adhesive vinyl. 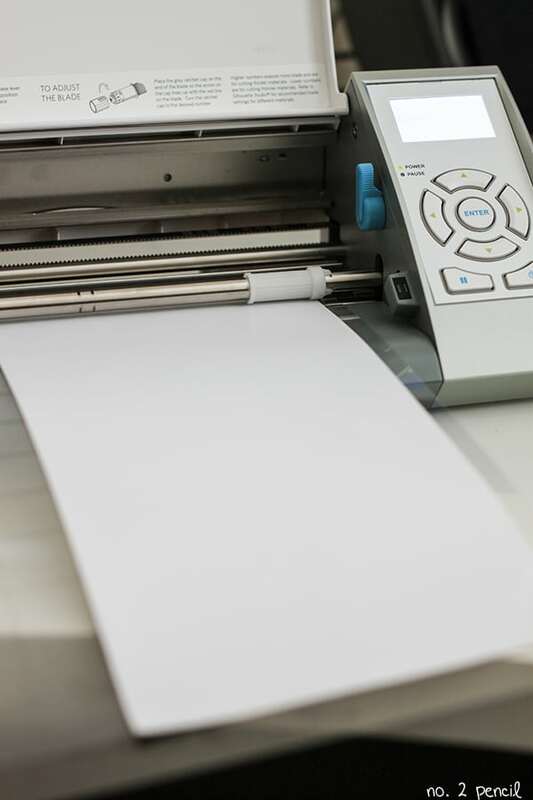 The possibilities are endless and the results are so professional when you are using a Silhouette machine. I’ve had a Silhouette SD for several years, and I am always finding new uses for it. Last Christmas, I used it to create a custom Rudolph sign. I’ve also used it to make vinyl mustache stencils and created these etched mustache glasses. During the Spring, I used my Silhouette machine to make teeny, tiny vinyl mustaches for our Easter eggs. Clearly, I like making mustaches! 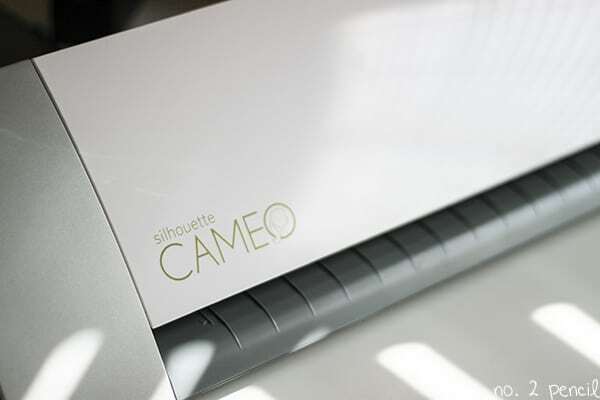 The Cameo is amazing, and I am so grateful to Silhouette for giving me the opportunity to review this fabulous machine. If you are a creative person and are looking for a tool to take your projects to the next level, this is what you need! 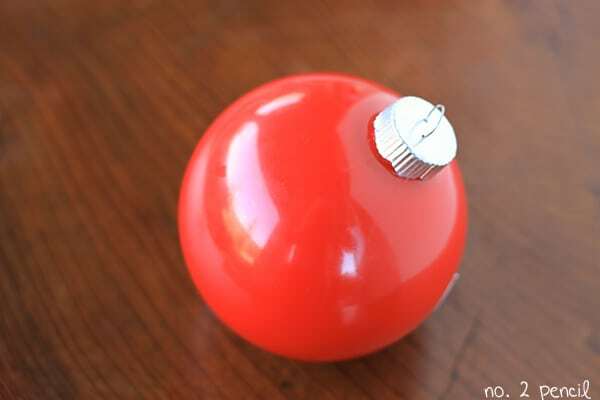 Let me show you how you can make your own custom ornaments with the Silhouette machine. Silhouette Digital Cutting Machine – I used the Cameo but the Portrait will work for this project too! Step 1. Remove top and fill ornament about 1/4 full of paint. Swirl ornament until covered in paint. Step 2. 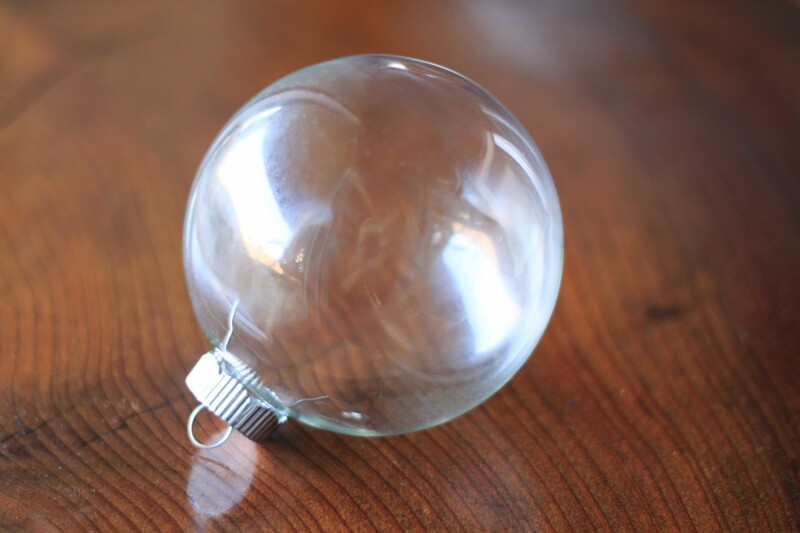 Turn ornament upside down on a disposable cup and let dry. Any excess paint will drip out into the cup. Step 3. Use Silhouette machine to cut a mustache shape out of white adhesive vinyl. I found the mustache shape in the Silhouette online store. 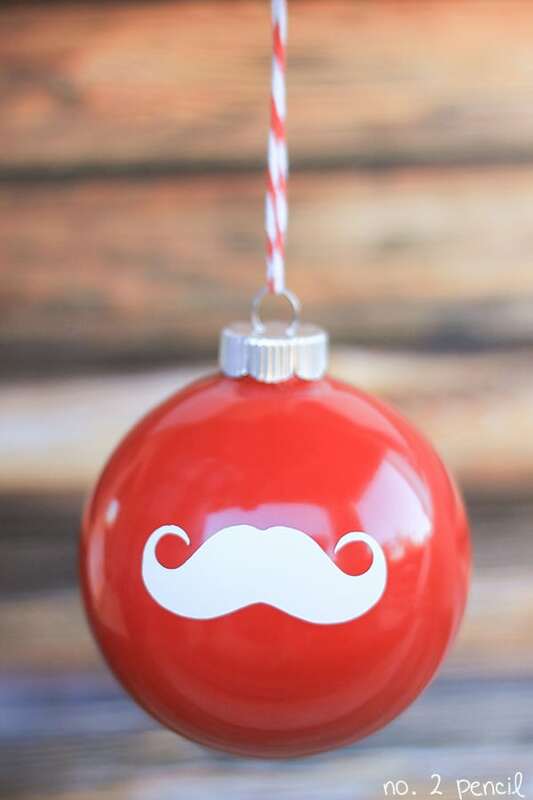 I made my mustache 2 inches wide so it would fit nicely on my 4 inch ornament. I had a small piece of scrap vinyl in my stash, so I used the cutting mat to hold the vinyl in place during the cut. It worked perfectly! Step 4. 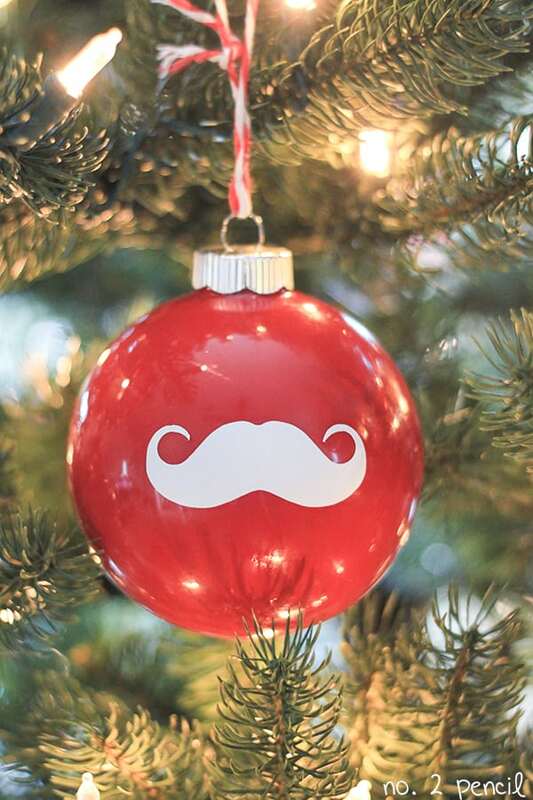 Apply vinyl mustache to ornament and smooth any wrinkles with your fingers. For more inspiration check out the Silhouette Pinterest Board! You will love these projects!